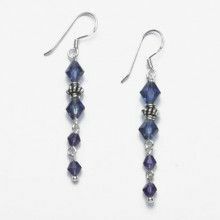 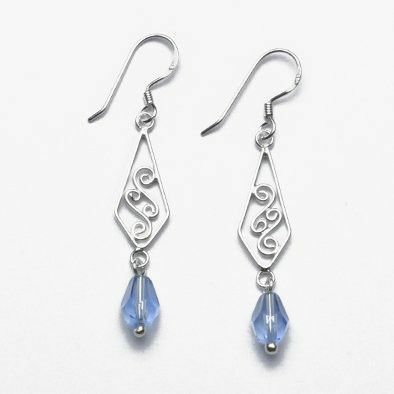 This charming pair of genuine .925 sterling silver earrings feature blue crystals which measure Approximately 3/8" long by 1/4" wide. 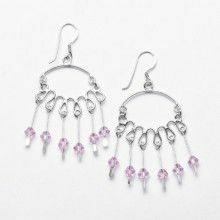 The earrings also feature an intricate Celtic-like design. 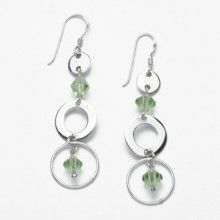 The earrings themselves measure 2 1/4" in length and 3/8" in width. 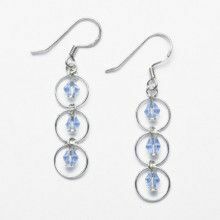 Larger Crystals: 3/8" x 1/4"